Three cheers for the best four-legged retriever on the field! 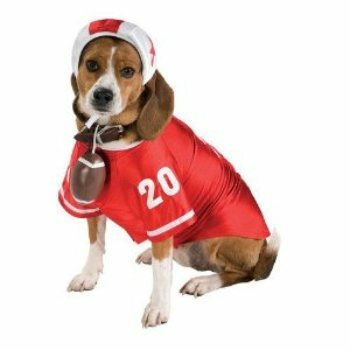 This Football Player Dog Costume will have your sports pup wanting to play fetch across the goal line! This Dog costume is great for Halloween or how about at your kids' football games?